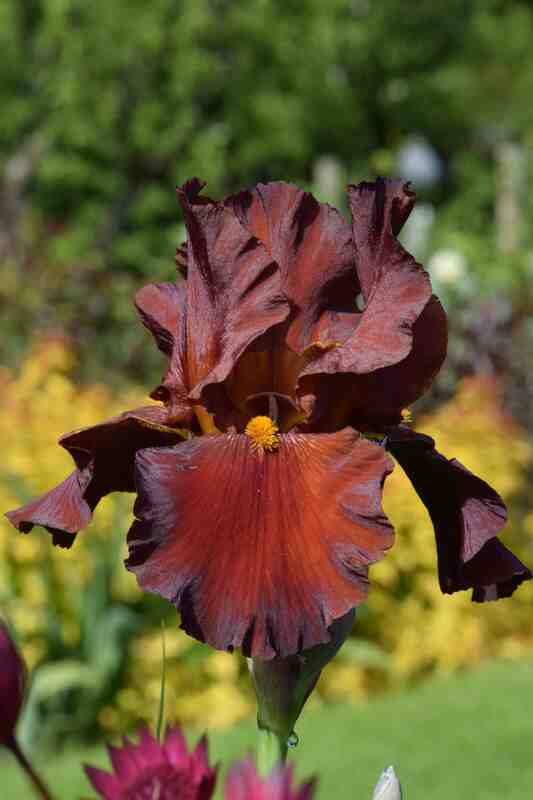 Despite being called the ‘Rainbow flower’ bearded iris never display true, ‘pelargonium’ red. You can have almost every other colour but bright reds are absent, though hybridisers keep trying. ‘Gallant Moment’ is one of the attempts, though now at 35 years old it is hardly the latest. It is a Schreiner’s creation and a tall plant reaching 1m in height. It is of moderate size, which makes it a good garden plant, and has red flowers on the brown side of the spectrum. The hafts (upper part of the falls) are stripey and around the golden beards. You can see from the two photos of the same flower that the direction of the light affects the colour significantly. 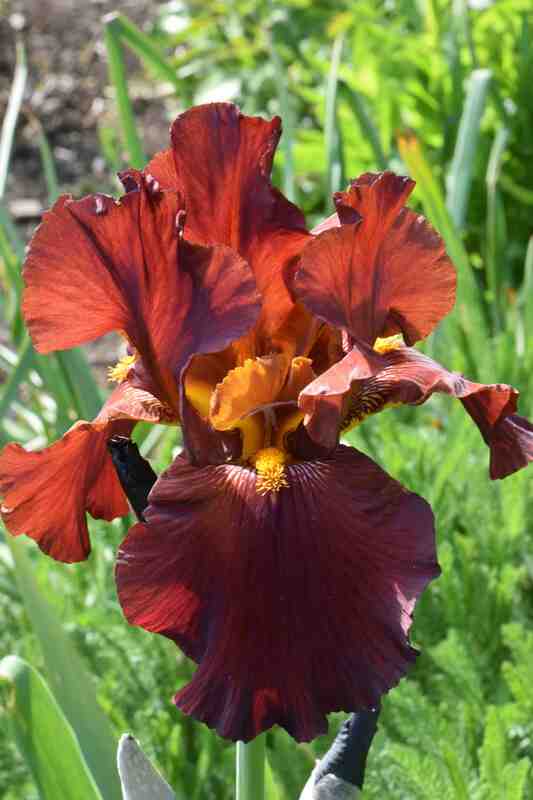 While it is not the most convincing ‘red’ I have ever seen it is a nice colour and a fine garden iris with good branching and as many as ten buds per stem to give a long display and some fragrance. Very nice… very rich colour. I have a rescue from the allotment that is the nearest I’ve seen to black, that’s more on the deep maroon /black. Did you see the iris on the TV , ‘From Chelsea’ , when they were looking at the old Iris, there were some gorgeous colours on there.